Persons under the sign of Cancer are characterized by a high sensitivity to the surrounding. It is possible to hurt them in a very simple way; therefore it is necessary to carefully choose words in their direction. Repeatedly they plunge into dreams of love, yet musing about future with a dream of second half. 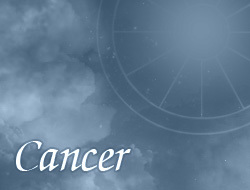 Cancers want their relationship to be romantic and overfilled with love. They can affectionately show warmth to their partners, and even prove faithfulness and devotion. They won't also leave partner in a difficult situation, giving a support hand out to then. Very often they are good confidants of someone’s feelings. Boldly it is possible to entrust them with own problems, which certainly they will be able to understand and wisely advise.